Carney's Striper Guide Service has been creating striped bass fishing experiences on Lake Texoma for over 15 years. Come and catch the fever, Striper fever! Fun for the Whole Family! Women & Children Welcome! Fishing Trip Gift Certificates Make Great Gifts! 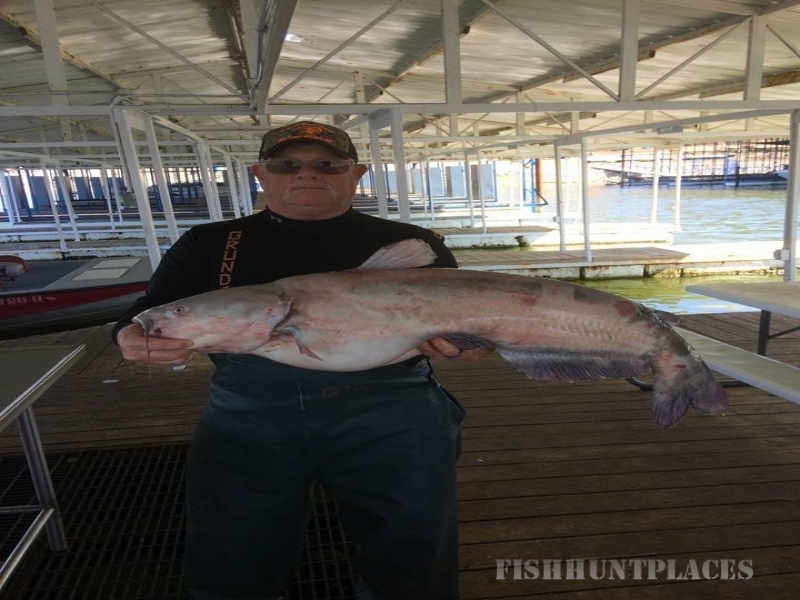 Our experienced guides have knowledge of the Lake Texoma Striper habits which guarantees you catch the fish; and they love to fish too! The limit of stripers is 10 fish per person, with only 2 fish being longer than 20 inches. The other 8 fish must be less than 20 inches in length. Trips are scheduled for 6 hours or until your limit is caught. You have the option of catch and release if your limit is reached quicker than you'd like. The fishing trip departs at safe daylight each morning from the Alberta Creek Resort Cafe. The cafe has a breakfast available during peak seasons. Directions can be found here.